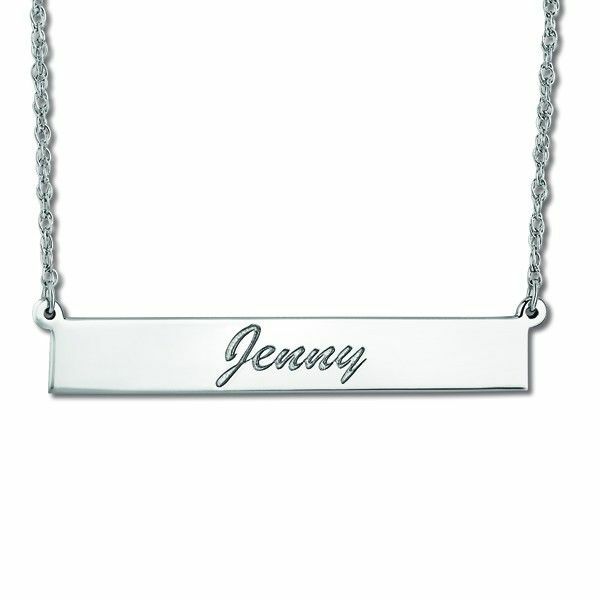 Custom design this 14k white gold bar necklace by engraving any name in any cursive typeface of your choice. 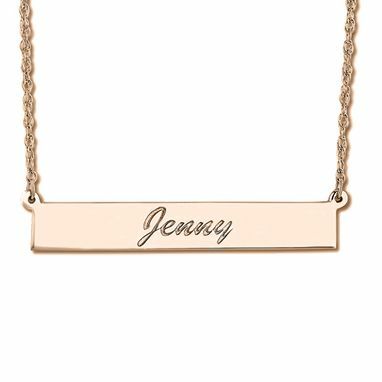 This very trendy personalized bar pendant that comes with a 14k white gold chain can be engraved with up to 30 characters. Personalized jewelry purchases are non-refundable and take about ten days to build before shipping.